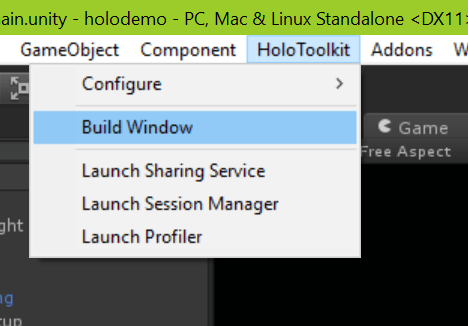 Once imported you will get a HoloToolkit menu item from which the build window can be invoked. The Build Window can be used for creating the Visual Studio solution, building the app and also installing onto a device or an emulator (I haven’t managed to get a remote emulator to appear in the IP address list yet – would be nice to know if there is a way to do this). 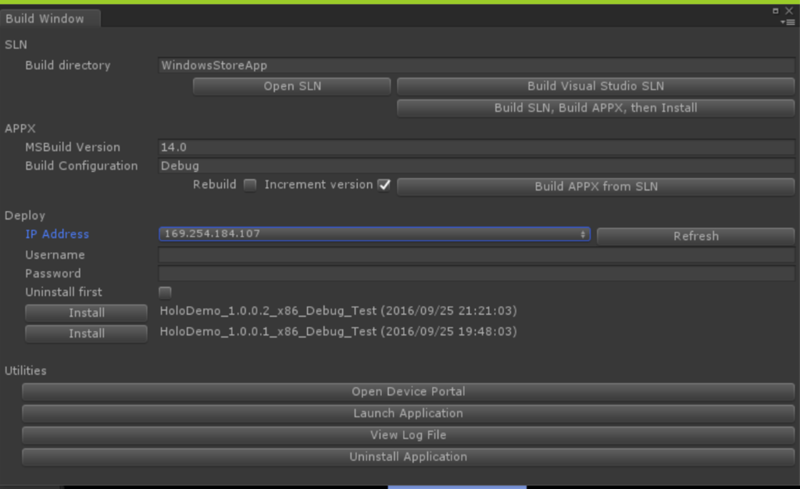 So, you can run the emulator (using the batch file from here http://peted.azurewebsites.net/start-hololens-emulator-without-visual-studio/) and it’s IP address should appear in the dropdown. Lots of handy shortcuts in there (installing previous builds and launching the installed app).